When people discuss basic human needs, one of the first to pop up is often the "roof over their heads." Roofs, like anything else that is constantly subjected to the weather, may require replacement or repairs, or they may even undergo sudden and major damages. The age of your roof, its composition and your geographic area all play a role in determining the longevity of your roof. How long your roof lasts depends on the materials from which it is made and where you live. For example, if you live in a hurricane zone, you will want to ensure that your roof is more secure. In the northeastern United States, roof lifespan may be shorter due to heavy snowfalls. Asphalt tile roofs tend to last anywhere from 15 to 25 years. 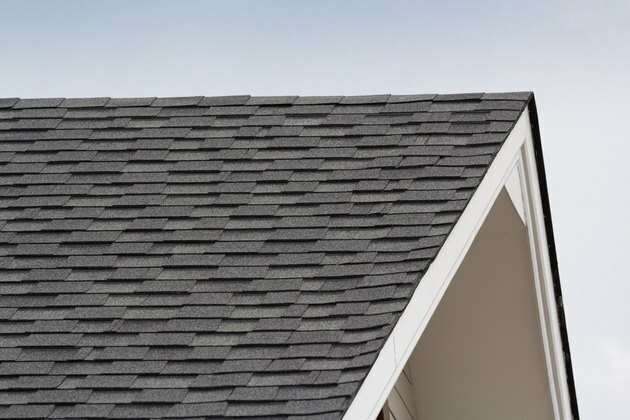 Tab single roofs may only last 10 years, whereas premium shingles can last up to 30. Biannually, if possible, you should check your roof for any place where tiles are missing or disturbed. Replacing those in patches is an easier job than replacing your whole roof. Longer-lasting options like metal and clay are more expensive than asphalt tiles, but you can expect up to 50 years of life with metal options. This makes it significantly more durable choice than asphalt. However, metal roofs are more expensive and difficult to install than asphalt. One of the longest-lasting roof styles is clay. Clay tiles are capable of lasting up to 100 years. However, these roofs need to be expertly laid, so if you are not an experienced roofer, you may need to hire a professional. It is also important to remember that clay roofs require a home structure that is capable of handling their weight. Depending on where you live and what sort of roof you have, you could be looking at a replacement between 15 and 100 years. By checking your roof at least twice a year for signs that you need a new roof, you can avoid hiring an inspector. You should keep an eye out for mold, rot, water damage, holes and missing or sagging tiles and shingles. If you find any areas of your roof that are concerning you, it is advised that you have a professional come out to give you a second opinion on the matter. Depending on the size of your roof and your location, roof replacement costs could vary significantly. On average, a 1,500 square-foot home with a 1,581 square-foot roof can run you between $5,000 and $8,000. These average costs include labor and materials. The longer the expected lifespan of the roof and the better its materials, the higher the cost will be. It's worth repairing your roof before you attempt to sell your house. In some cases, a new roof can add tens of thousands or more to your home's value. To be certain of the value added, you should get your home appraised by a professional. Having a third-party appraisal before and after your project will give you an idea of its resale value. When it comes to roof warranties, you may find yourself a bit confused. Typically, there is a manufacturer's warranty and a workmanship warranty on your roof. These are not the same thing. The manufacturer's warranty protects the product itself, while the workmanship warranty safeguards the work done by your contractor. A workmanship warranty promises that if service to your roof is needed, the contractor will return to your home and perform it. If they offer a 10-year workmanship warranty, they are obligated to make repairs to your roof for 10 years. These warranties vary widely from company to company, and it's important to learn more about a contractor's policy before signing on to work with them. A manufacturer's warranty is offered by the company that makes your shingles for the amount of time their product is engineered to last. You would be eligible for new roofing elements during the period of your warranty should something go awry. This number is what you typically hear consumers reference when they say they have a "25-year roof."